Leroy Little Bear has himself become an institution. This veteran educator and renowned academic is a model for all Aboriginals striving for success in higher learning. The founder of the Native American Studies Department at the University of Lethbridge – where he served as Chair for 21 years – also went on to become the founding Director of Harvard University’s Native American Program. He’s co-authored three texts – Pathways to Self-Determination: Native Indian Leaders Perspectives on Self-Government, Quest for Justice: Aboriginal Rights in Canada, and, Governments in Conflict: Provinces and Indian Nations in Canada – and helped write Justice on Trial, the report of Alberta’s Task Force on the Criminal Justice System and Its Impacts on the Indian and Métis Peoples of Alberta. A member of the Blackfoot Confederacy, Little Bear contributed to publications for the Royal Commission on Aboriginal Peoples in the area of criminal justice issues, did the same for the Assembly of First Nations on constitutional issues and has provided legal advice to numerous Aboriginal organizations on land claims, treaties and hunting and fishing rights. 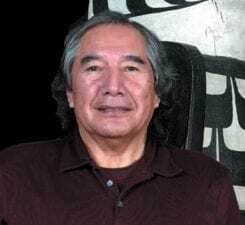 He is now recognized as one of the continent’s leaders in the advancement and acceptance of North American Indian philosophy. When he began his studies in the 1960s he quickly determined he wasn’t attending university for himself. Instead, Leroy Little Bear did it for his people. “Educating Native students was my way of making a difference,” he says. “If I can graduate ten or fifty Native students then that makes a big difference.” He has already succeeded.